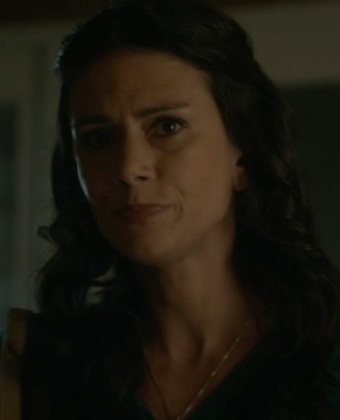 Melissa McCall (née Delgado) is Scott McCall's mother with her ex-husband Rafael McCall and works as an R.N. nurse at Beacon Hills Hospital. In Season 1, Melissa is kept in the dark about Scott's conversion to a werewolf and the supernatural elements of Beacon Hills, California. 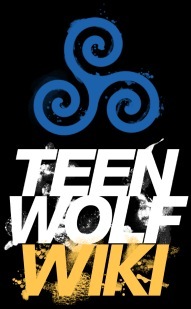 In Season 2, she starts demanding answers to Scott's abnormal behavior, then she finally learns the truth after Matt Daehler takes her, Scott, Sheriff Noah Stilinski and Stiles Stilinski hostage using the kanima, then finally seeing her son as a werewolf and when Gerard Argent threatens her life. Melissa eventually gets involved and works as best she can to help and support her son put an end to the active threats. In Season 3, Melissa helps Scott and his allies identify and search for the new killer in town, a darach, then saves Danny Mahealani's life after the latter is targeted by the corrupted druid. Melissa and Scott also become a surrogate family for Isaac Lahey. She is then abducted by the darach Jennifer Blake to be sacrificed as a Guardian along with Stilinski and Chris Argent. All three are rescued by Scott's Pack. Melissa becomes a source of comfort and support for her son and his friends, and begins to serve as a healer for the pack. She and Scott are unhappy with the return of her ex-husband Rafael. In Season 4, Melissa works with her son's pack with searching for and catching the Benefactor. In Season 5, after Scott is killed by the Chimera Theo Raeken, Melissa resuscitates him with a sheer display of determination and the power of the supermoon, bringing him back to life, then comforts and advises her son that in order to fight back against the Dread Doctors, he should seek to give his pack and everyone hope. Melissa breaks hospital protocol to give Lydia Martin the means to save Mason Hewitt with her banshee voice. Sassy and tenacious, Melissa McCall is a sarcastic woman with a sharp snarky tongue, but simultaneously a comforting and loving mother to Scott McCall. Though a single parent and an underpaid nurse, Melissa is hard-working and diligent, doing her best to provide for and take care of her son. Her relationship with Scott is close and full of humor. She is thoughtful, curious, and brave, taking an interest in helping her friend Sheriff Noah Stilinski with his cases. Though initially horrified, terror-stricken, devastated when she first witnesses the supernatural, including Scott's new identity and status as a werewolf, she eventually proves to keep an open mind and involves herself in the danger and intrigue in Beacon Hills. Upon being more integrated in, wary and enlightened of the supernatural world, Melissa does worry, fear for her son's safety during the life-threatening situations he finds himself in, but realises he has a role to play and he cares enough to do what he does, and Noshiko Yukimura advises her that the only other alternative would be having their supernatural children run and hide for the rest of their lives. Melissa holds Scott in high regard for his heroism and serves as his source of comfort and wisdom whenever he needs so. She also serves as a maternal figure for the rest of the Pack as well as providing medical assistance whenever she can. Melissa's maiden name was Delgado. She didn't change it because she wanted to have the same last name as Scott. Melissa McCall works as an ER nurse at the Beacon Hills Hospital. She often works the late shift. Scott's father left when Scott was 5, so she raised her son on her own for the last 12 years or so. Because their sons have been friends their whole lives, Melissa McCall and Sheriff Stilinski are friends and a kind of co-parents, since Scott is missing a father and Stiles, a mother.